What a huge month it’s been! It may look as though we’ve been quiet here on the blog but as you can see we’ve been hard at work behind the scenes. Welcome to the new look website! What do you think? We are also back from our amazing trip to the US for the 2013 South Pacific Stampin’ Up! Incentive Trip. We joined forces with the Europe achievers too, so it was double the fun. We travelled on planes, trams, buses, a funicular, helicopter, and more. We saw the amazing contrast between Utah, California, Nevada and Arizona. We laughed and cried and giggled and shopped (a lot!!) and yes – it really was the ‘trip of a lifetime’. First, the US 25th Anniversary Convention. We were given the option to add a few extra days onto the trip so we could join in this great celebration. They didn’t have to ask me twice! The samples, presentations and inspiration boards were a feast for the eyes. Next came the amazing St Regis resort in Deer Valley, the official part of the Grand Vacation. An incredibly beautiful part of the world. We spent a day at the Home Office in Utah. This was a highlight of the trip for many of us. Crafting with friends at Stampin’ Up! headquarters? Priceless. On the way back we called into Jacob Hamblin Park, which is a kids’ playground in Kanab. Stampin’ Up! donates waste rubber offcuts as soft fall under the play equipment. I’d heard about this playground over the years, so it was a thrill to be there in person. Looking closely we even recognised some of the images from old stamp sets. Our final evening was at a genuine ridgy-didge Utah ranch. Country music, dancing and we made S’mores!! (First time ever about the s’mores, so that was a bit exciting!). If I hadn’t already fallen in love with Utah, then I would have that night! 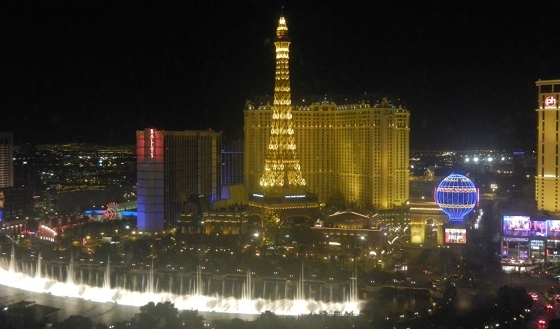 Jason and I added a few extra days in Las Vegas, but I’ll spare you those happy snaps! lol. It was the perfect way to wrap up an amazing trip though. And for those who asked: Yes. 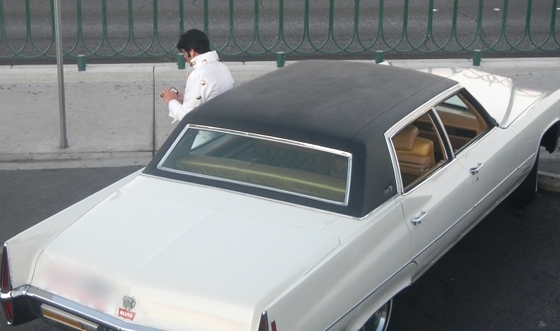 We saw Elvis. He was playing Candy Crush. For those of you who’ve followed my blog for a while, you know I’ve been so incredibly grateful for every one of the four Incentive Trips Jason and I have been on with Stampin’ Up!. But this one…. well it completely took my breath away. Stampin’ Up! has been a part of our lives for nearly 6 years now, so it was a dream come true to visit the Home Office in Salt Lake City, and the manufacturing plant in Kanab, meeting face-to-face some of the fabulous people who have inspired me, as well as making some gorgeous new friends. Thank you so much to those who supported and encouraged me over the years. I still love what I do (I get asked that a lot), love teaching, love being associated with Stampin’ Up! and love the products. But above all that, what I love is the friendships I’ve developed along the way with customers, demonstrators and team members. Your new site looks terrific Simone – love it. What a great wrap up of a fabulous trip. Loved your Utah pics. Thanks Sue. Was a great trip, wasn’t it? See you on the cruise! Loving the new clean and “easy on the eyes” site it’s great, (Like how you’ve kept the same colour scheme!!) Great post about the trip too!. Ta, Rose. Looking forward to showing you all the swaps etc in person next week. We incorporated the new In Colors to the site this year too – LOVE them! Welcome to my online home where I share a love of cardmaking, hand-crafted home decor and rubber stamping. I’m so happy to invite you in, so grab a cuppa and click around! Would you like something you see here? If you’re in Australia, just click here and you’ll be magically transported inside my online store. Would you like to be notified by email when I update this craft blog? Simply enter your email address in the box below, then hit Subscribe. It’s that easy! Sign up for our monthly e-newsletter. Free hints & tips straight to your inbox. All content, including designs, concepts, text, and photographs are COPYRIGHT ©2018 Simone Bartrum, unless otherwise stated. I only use Stampin’ Up!® products, so all stamped images are COPYRIGHT 2018 Stampin’ Up!. 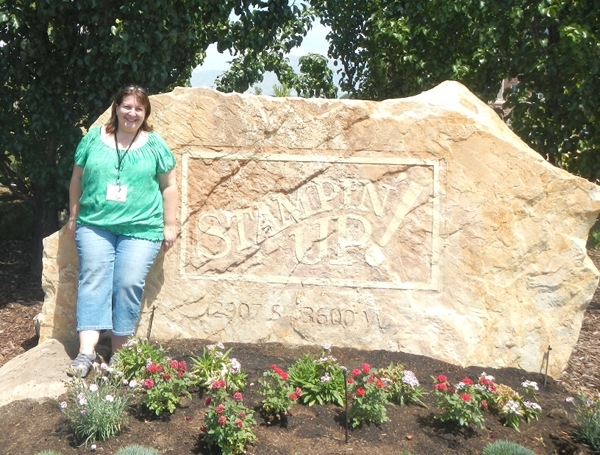 As an independent demonstrator for Stampin’ Up!, the content of this site is my responsibility. The use of and content of the classes, services, or products offered on here is not specifically endorsed by Stampin’ Up!. Simone Bartrum, Stampin' Up! Australia - Copyright © 2019 All Rights Reserved.